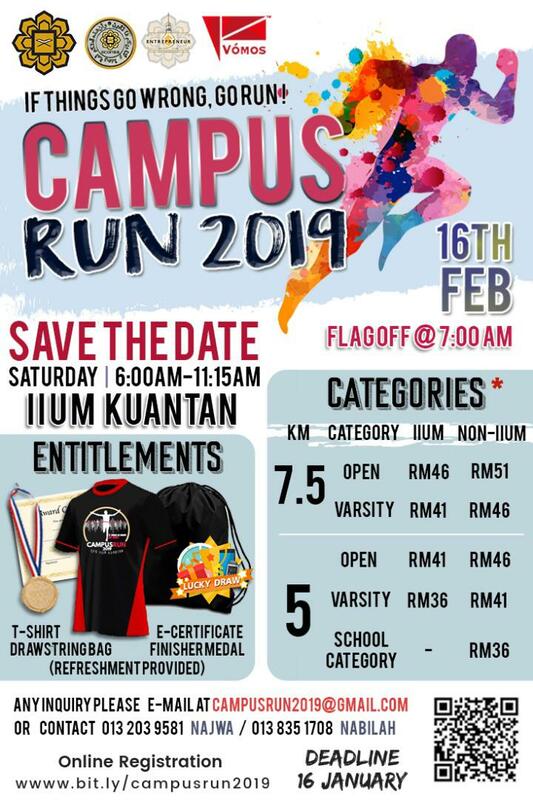 Please be informed that Economic Students Society, CFSIIUM in collaboration with Entrepreneurship Society, CFSIIUM are organizing an event called “CAMPUS RUN 2019”. It aims at promoting a healthy lifestyle among the IIUM community and public. Thus, we are pleased to welcome you to join this run. Please refer to the poster below for the details.